The Audio-Technica ATH-M50 Professional Studio Monitor Headphones are a great pair of headphones for the money -- and great headphones period. 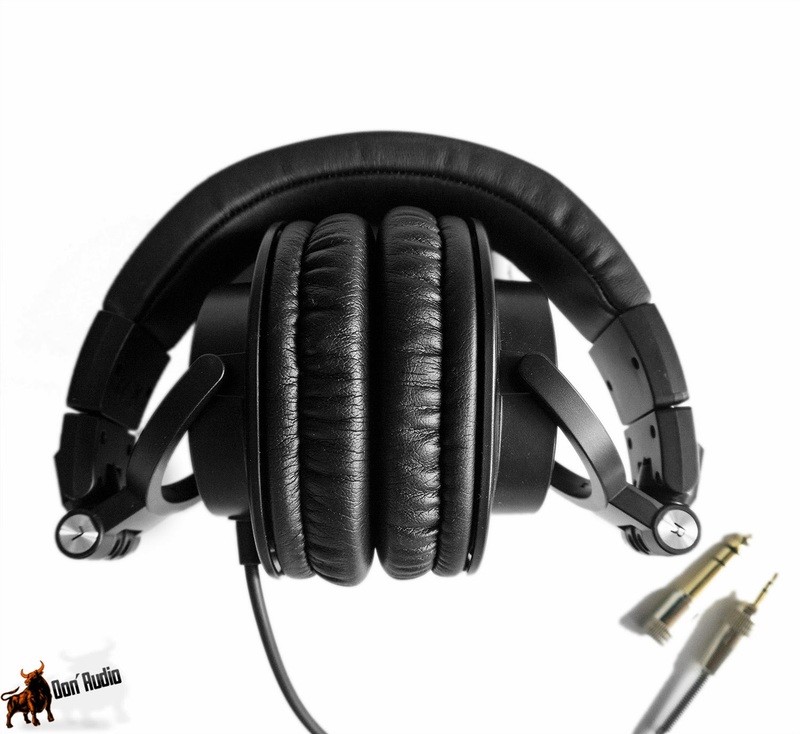 Well, for starters, they're well-built and have a sturdy design that looks and feels like it will hold up well over time, with a thick single cord that terminates in a heavy-duty, reinforced plug. The thick, padded earcups swivel on two axes, and the headphones fold flat for storage, though it's worth noting that the simple soft case they come with is essentially just a bag. 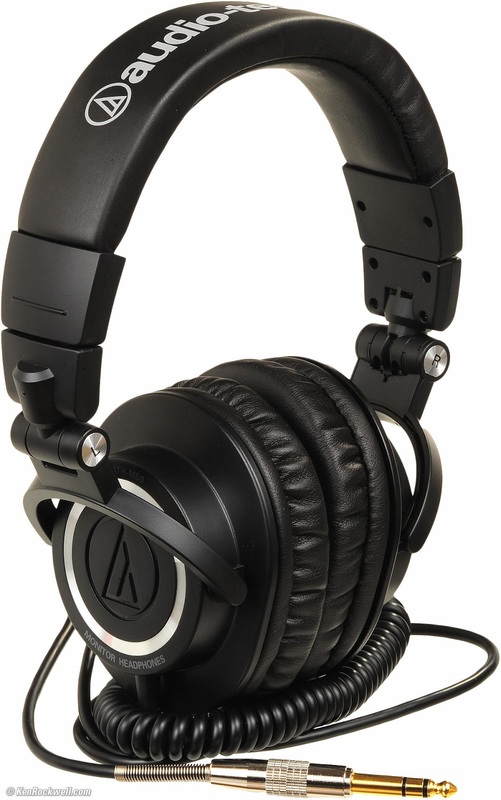 Earcups / Isolation:The earcups for these headphones do generate a very good seal around an average sized ears. I've worn these so much that the earcups actually have indentations for the top of my ear, side of head, and earlobe. These indentations make me love these headphones even more since they're "custom fit". In terms of noise reduction, these cut out about 10dB worth of noise at mid-high frequencies (technical data, and I agree from experience). 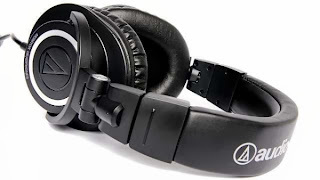 You can have a conversation with someone while wearing these, but once you start playing music through them you will find yourself shouting and unable to understand a conversation. The earcups cost about $20 to replace, so dont't be too worried with the durability.The earcups can get a bit warm on a hot-humid summer day, but it's never to the point of being uncomfortable. an audio source and the spring may pop out of the plug. Highs 5/5 - Imagine a dedicated tweeter per cup. The highs are PERFECT. Sirens, cymbals, piano notes, you name it comes in crystal clear with a pristine pitch. No harshness or fatigue comes with it. No roll-off or sibilance either, even if you crank it up to stratospheric levels. Mids 5/5 - Like 2 miniaturized, mid-range drivers for your dome piece. When I heard Bose, I thought I HEARD everything, which was very nice. With the M50's, YOU WILL HEAR EVERYTHING. There were hidden voices and notes that even the Bose's missed in songs that I knew by heart. Voices came out clear and articulate. No recessed mid-range here. It's all up in your grill with pleasing authority and with the natural fullness that is to be expected with your tunes. Lows 5/5 - I wish I could rate this higher. No other headphone (that I've heard) can touch this. Take two, high quality, sealed sub woofers. Shrink them, and somehow stuff them into the M50's. Then listen. Your brain will become grits. Your eyeballs will shake furiously. Your jawbone will uncontrollably vibrate. 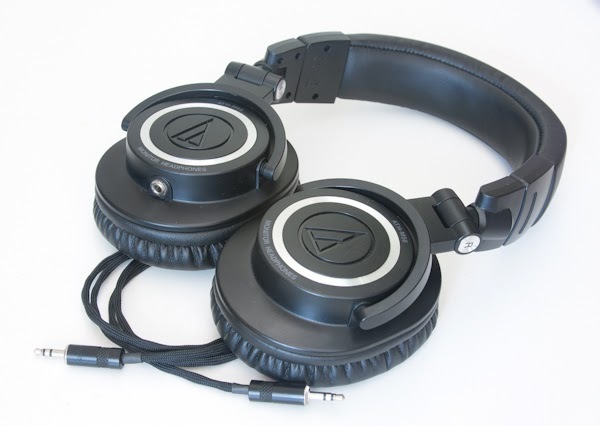 The bass in this headphone can resurrect the dead (and then some). The bass notes come in with such passion, that you instantly fall in love. It is highly textured, laser-accurate, and tightly controlled with ZERO distortion. There is no need to crank up the EQ on this. You can, but you've been warned. The bass is the best part about the M50. It is FLAWLESS. Soundstage 4/5 - For a studio monitor, the soundstage is very good. There is a wide sense of space and depth to the sound. Nevertheless, they aren't as open-sounding as others such as the DT-770 pros, which have a closed design as well. This can sometimes take you out of the "scenario" when watching movies or playing games, which is why I use these primarily for music. I use the DT-770 pro's for movies and games, which those excel in this area. Detail Retrieval 5/5 - Plain and simple, if it's in the audio track, you will hear it with no problem at all. Every nuance, sound, intricate detail, and mouse-fart will have a direct line to your eardrum for your listening pleasure. No complaints. Value 5/5 - You need a pair (no, not those) of Audio Technica M50's. 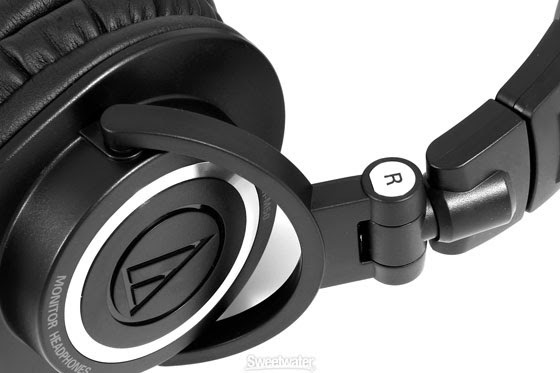 These are more than worthy to add to your headphone stable. Comfort is also quite excellent. 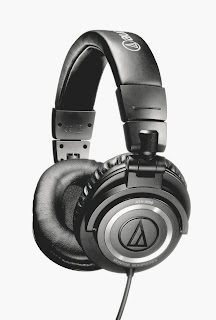 Other studio monitor headphones pinch too tight for me (I also wear glasses), these are just right. Not too loose or constricted. The Beyers beat these in this area though (those are like Serta pillows :). The cord is terminated into a slick-looking, metal housing, with a flexible end connected to a 1/8" plug, that also can be mated to a screw on 1/4" adapter. In other words, you can plug the M50's into whatever device you want; Ipod, home receiver, amp, etc., right out of the box. Durability is also the best I've seen yet. Can't see these breaking in any way, even if it's in the hands of a toddler. Burn in definitely changes the sound. Other owners have suggested 40 hours of cooking. The headphones sound more distinct, clear, and the instruments have better separation. Even the bass is more lively and the soundstage is more expanded. All said, don't judge yet until you've pumped tunes through them for many hours. Which then, the end result will surely be a smile on your face.